ALBANY, N.Y. (WABC) -- A compromise between Gov. Andrew Cuomo and legislative leaders will allow drinking at restaurants and bars starting at 10 a.m. Sunday morning, instead of noon. The brunch bill is part of Democratic Gov. Andrew Cuomo's effort to modernize state alcohol laws that in many cases date back to Prohibition. Along with the earlier hours for drinking, restaurants and bars outside New York City will be able to apply for a permit to open at 8 a.m. up to 12 times per year, to accommodate early morning sports, such as European football and the NFL overseas. The Giants are scheduled to face the Rams in London on Oct. 23, a game expected to start at 9:30 a.m. ET. Last year, the Buffalo Bills played in London at a game that also started at 9:30 a.m. Restaurant owners from around New York state are hoping lawmakers vote this week on the bill. Supporters gathered to speak in favor of the change Monday at an Albany pub. 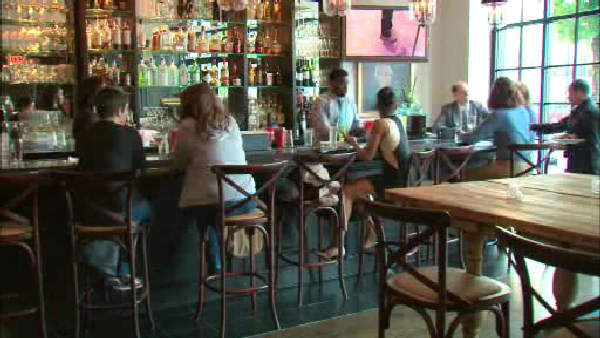 They say it will give businesses the flexibility to serve brunch goers as well as patrons watching European soccer games or other sporting events. "We've worked hard to cut red tape, lower costs and roll back burdensome regulations to help New York's craft beverage industry thrive and create jobs, as well as some of the best beer, wine, cider and distilled spirits in the world," Governor Cuomo said. "This agreement to overhaul this state's archaic blue laws will build upon these ongoing efforts by knocking down artificial barriers for restaurants and small businesses and helping this industry grow even stronger."